Hiroshige I, II, or III? Hi, one of the things I enjoy is buying a print and then trying to figure out if the artist/title that it was sold under is correct or not. I should probably do that before purchase, but the cost is never very high. In any case. Here's a print that was sold as "HIROSHIGE 53 STATIONS OF TOKAIDO ROAD #31 MAISAKA JIMBUTSU ED 1852" and I can't find it anywhere. 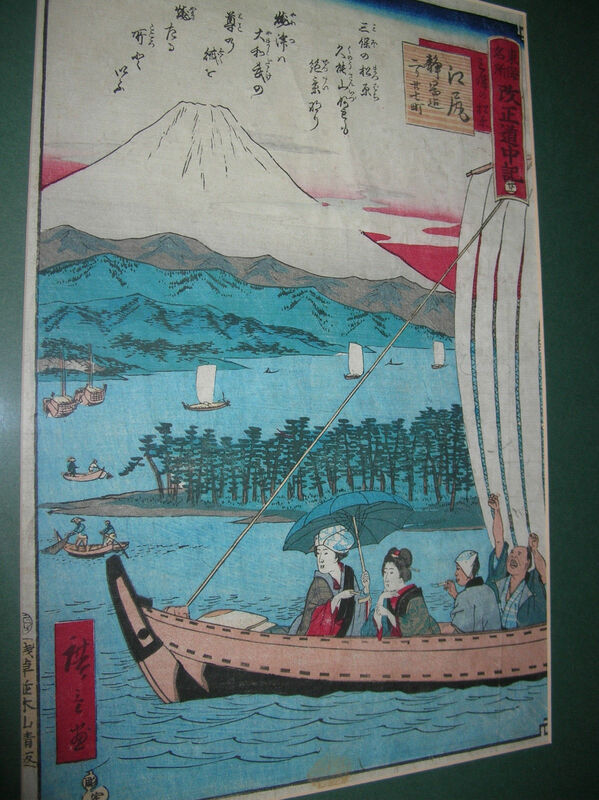 I also looked at Hiroshige II prints. Can anyone solve this for me?? Thanks! Subject: Hiroshige I, II, or III?